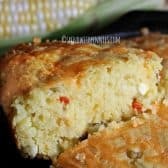 This delicious corn bread is flavored with mild chiles and fresh corn giving it a little extra flavor! Not only is it easy to make, it bakes up light and fluffy every time! 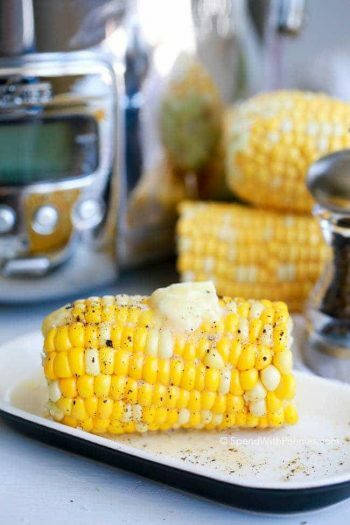 To remove the corn kernels, you can use a Corn Kerneler or a knife. This recipe uses buttermilk… if you don’t have buttermilk you can substitute it with sour milk! Place 1 tablespoon of lemon juice or vinegar into a 1 cup measuring cup. Top to 1 cup with milk and let it sit 5 minutes. 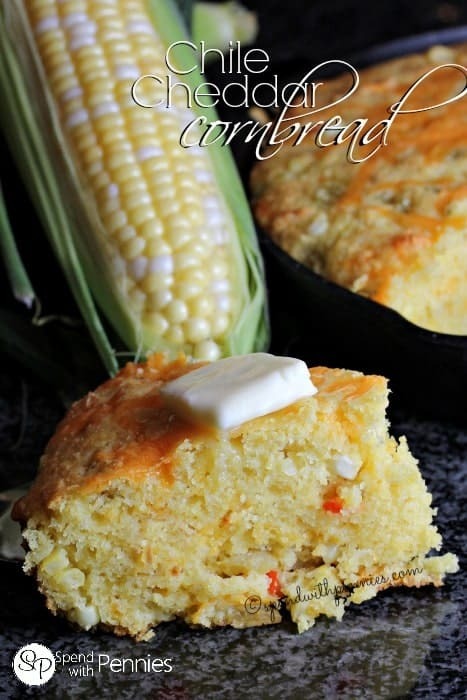 A deliciously sweet and savory cornbread ... perfect with a bowl of soup or chili! 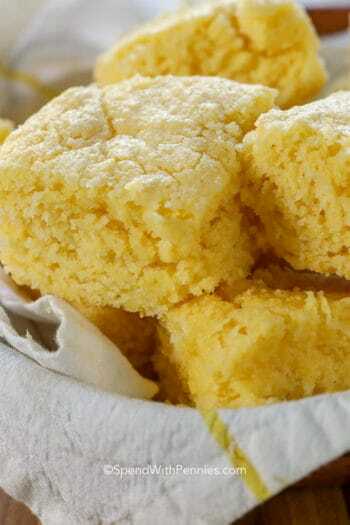 In a bowl combine flour, cornmeal, sugar, baking powder, baking soda and salt. In a separate bowl, whisk together egg, buttermilk and melted butter. Add 1 tablespoon butter to a a 10" cast iron skillet and place in the oven. Meanwhile, pour the buttermilk mixture into the corn meal and stir just until most of the mix is moist. Add in chiles, fresh corn, peppers & 1/2 cup cheese. Remove the skillet from the oven and pour the batter into the pan. Top with remaining cheese. Bake 25-30 minutes or until a toothpick comes out clean. If you do not have a 10" skillet, grease an 8x8 pan well. Bake at 375 degrees for 30-40 minutes or until a toothpick comes out clean. Are the mild green chillies hot? I can’t have heat because of my stomach. I like the original green chilies and tomatoes but can you put a can of those in this cornbread? I would love to make this. Thank you. The brand of mild green chilies I purchase are not spicy. I haven’t tried the tomatoes/chilies mixture in cornbread, let us know how it goes if you try it. The can size of the chilies is 4oz. 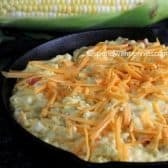 Can I substitute a can of cream corn for the fresh corn? Thank you. I haven’t tried it so I can’t say for sure. Let us know how it works if you try it! Could you sub buttermilk made by adding vinegar to milk? Absolutely! 1 tablespoon of vinegar into a 1 cup measuring cup and top to 1 cup with milk. Let sit 5 minutes.. voila! what is done with the fresh corn… was something left out? ?